The clear waters of the Gulf of Mexico and St. Andrew Bay are teeming with fish, including blue marlin, red snapper, mackerel, trout, pompano and cobia. It comes as no surprise that more than 10 fishing tournaments are held in Panama City Beach annually. Test your angling versatility by fly casting for redfish in St. Andrew Bay, trolling the emerald green waters of the Gulf of Mexico for a regal blue marlin, or playing tug-of-war with a feisty red snapper. 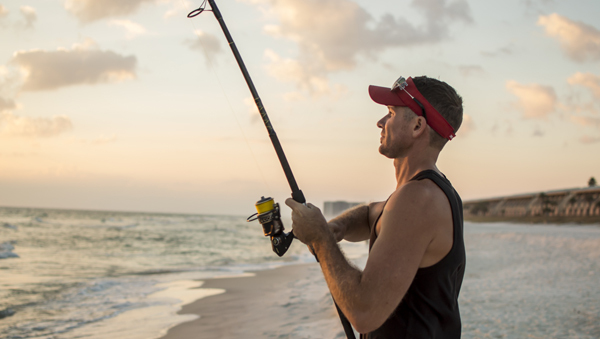 Did you know Panama City Beach has a fishing show called Chasin’ the Sun on Discovery Channel? Tune in to see what fishing is like in PCB! Located at 16201 Front Beach Road across the street from Pier Park/Aaron Bessant Park, The Russell-Fields Pier, also known as the City Pier, is open to the public 24 hours a day, 7 days a week. 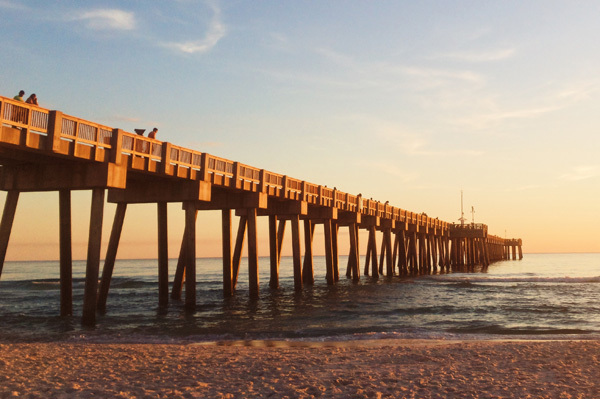 This pier is over 1,500 feet long and is the longest pier on the Gulf of Mexico! Spectators can walk the pier for a daily fee of $3.00 and daily fishing licenses can be purchased for $7.00. Please Note: These rates are subject to change, so be sure to contact the pier for additional prices and information at (850) 233-5080. There is also a 400 foot Pet Friendly Beach located West of the pier. More information can be found at: www.bayfwd.org or by calling (850) 233-5045. Located at 12213 Front Beach Road on the beautiful Gulf of Mexico in Panama City Beach, the M.B Miller county Pier sits 1500 feet out into the Gulf of Mexico, as it was recently built identically to the Russell-Fields (City) Pier when Bay County joined with Panama City Beach to replace the old damaged one. Spectators can walk the pier for a daily fee of $3.00 and daily fishing licenses can be purchased for $6.00. Please Note: These rates are subject to change, so be sure to contact the pier for additional prices and information at (850) 236-3035. The State Park also offers two fishing piers.The Tiller Pier on the Gulf Side, and the other fishing pier gives fishermen access to the protected waters of the Grand Lagoon side. Fishing or walking on the piers is free, although there is a charge to enter the state park. There is no better spot in the southeast to dive than off the coast of Panama City Beach. 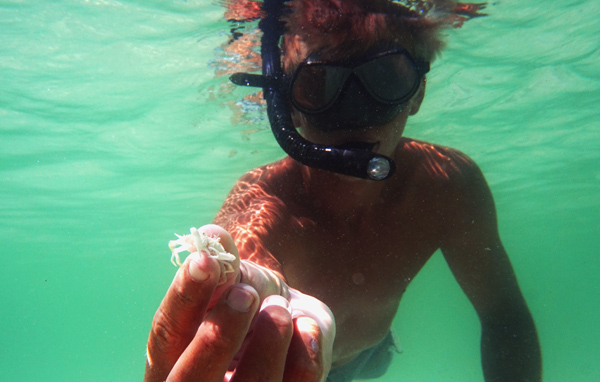 The many natural and artificial reefs and the warm waters of the Gulf cultivate the ideal habitat for sea life. Some of the species you can spot while scuba diving or snorkeling includes sea turtles, dolphins, manta rays, starfish, sand dollars, and puffer fish. Bay County is closed to Scalloping, Shellfish, and Oysters.